London in the swim, what a shame! COMMENT | It was supposed to be hosted by Malaysia and originally scheduled to be held in Kuching, but now London gets the host job. Kuching’s loss is London’s gain. What a shame! On Monday, the International Paralympic Committee (IPC) awarded London the right to host the re-arranged 2019 world para swimming championships in September. The move follows IPC’s decision to strip Malaysia’s hosting rights after the country failed to provide the necessary guarantees that Israeli athletes could participate safely and free from discrimination in the championships. “We are delighted to announce London as the host city of the World Para Swimming Championships,” IPC president Andrew Parsons said in a statement. 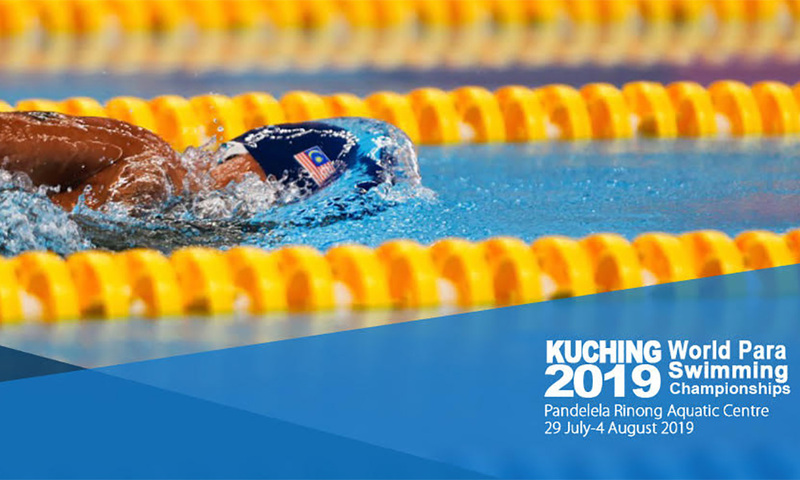 The championships, originally scheduled in Kuching from July 29 to August 4, is also a key qualifier for the Tokyo Paralympic Games in 2020. With this cancellation, Malaysia’s own para swimmers have been denied the chance to qualify for the Tokyo Games by competing in their own backyard. They have missed a golden opportunity at home and this is something which should not have happened. I have spoken on this issue in the past. As with all who did not agree with Putrajaya’s stand to disallow Israeli athletes to enter the country and participate in the swimming championships, my message was this. “This is an international sports event and swimmers from around the world who qualified should not be barred. All should be allowed to enter Sarawak and represent their respective nations accordingly. Despite the waves of protest both at home and abroad, Putrajaya did not relent and Malaysia was stripped off its rights to host the games. Why? Because our prime minister, Dr Mahathir Mohamad (above) says so. And everyone has to follow, just because one powerful Malaysian leader is dead-set against Israel. Other cabinet ministers, even if they did not agree with Mahathir, kept a deafening silence. At times, I wonder what Malaysia’s diplomatic stand against Israel really is. This swimming event was arranged when Najib Abdul Razak was prime minister. Surely, Najib would have known Israeli athletes would be taking part and he must have been prepared to allow them to do so when Malaysia bid to host the championships. Would I be correct to conclude therefore, that our ties with Israel depend on who is the prime minister? It does not mean Najib cares less for the Palestinians, but that he is not anti-Semitic. In January, I had suggested that the Sarawak government submit a compensation claim to Putrajaya after elaborate preparatory work for the championships had been done. According to Sarawak Sports Minister Abdul Karim Rahman Hamzah (above), many meetings were held in Kuching and overseas, and he even went to Mexico, the previous host, to learn from them. IPC officials and the foreign media had also visited Kuching for a first-hand look at the venue, as well as to observe preparations, he said. Flights and accommodation had been arranged for 1,678 athletes, coaches and officials from 64 nations who had confirmed their participation, Karim added. Kuching hoteliers had stated that RM5 million went down the drain as a result of the cancellation. The minister and the Sarawak government could have spent several millions for the elaborate preparations. May we, Sarawakians, know the exact figure wasted as a result of this U-turn by Putrajaya? The amount wasted should be made public. Accountability, Karim, accountability! It is only fair that Putrajaya compensate Sarawak for the millions wasted for nothing. The ‘equal partners’ status has been raging in recent days. Take this cancellation of the event as an example. What sort of equal partnership is this? Malaya says “No” and Sarawak couldn’t do anything. It is clear Malaya has more say and could never treat Sarawak or Sabah as equal partners. Malaysia should stop bidding for any international sporting events from now on. Principally because we have leaders who are fickle-minded and who get their priorities all mixed up. I dread to think of what would happen if Israel emerges as a powerhouse in badminton or squash one fine day. Ban their athletes from the Thomas Cup or World Squash Championship too. Forbid future Lee Chong Weis and Nichol Davids from taking part in events in other countries if Israeli athletes are taking part. A peep into the looking glass tells me that our neighbours, Singapore, Thailand and even Vietnam could well be on their way to hosting the Olympics or World Cup much earlier than Malaysia. Malaysia will best be known as a “jaguh kampung” if we still have anti-Semitic leaders in the decades down the road. FRANCIS PAUL SIAH heads the Movement for Change, Sarawak (MoCS) and can be reached at sirsiah@gmail.comThe views expressed here are those of the author/contributor and do not necessarily represent the views of Malaysiakini. COMMENT | The morning after the controversial constitutional amendment bill was defeated in Parliament, a dear friend from Kuching sent me this message: “Are you sad? I listened to the proceedings until the votes were counted. This best sums up how important the proposed amendment to the Federal Constitution is to ordinary Sarawakians. People are concerned because they care and love their homeland, as all proud and patriotic citizens should. I think more people tuned in to the live streaming from Parliament on Tuesday night than during the World Cup final. I, too, was caught up in it, and was in Parliament from 10.30am till 5pm, went home for a shower and dinner, and returned at 9pm to witness the voting. So, am I sad with the bill being shot down? Yes, but also happy. I am sad because Sabah and Sarawak MPs were not united on such an important bill. They prioritised their politics, not the future of their fellow citizens or the nation. But I am also happy because I do not believe in the ‘better than nothing’ stance espoused by turncoats. They were defeated, and rightly so. Let me explain. The reality is that the whole of Sabah and Sarawak had agreed that the equal partner status must be restored. Who doesn’t want their eroded rights back? I am sure this is something all the lawmakers from Sabah and Sarawak, from both sides, would gallantly fight for. So what went wrong on Tuesday? The defeat was an accident waiting to happen and it happened. Why? Overconfidence on the part of Pakatan Harapan – they were so sure they could obtain the two-thirds to pass the amendment bill. Even Prime Minister Dr Mahathir Mohamad thought so, as he told the media after the voting. De facto Law Minister Liew Vui Keong (photo) deserved more than an earful from his boss for this historic defeat, as no amendment to the Federal Constitution had ever suffered such an embarrassing and humiliating defeat. 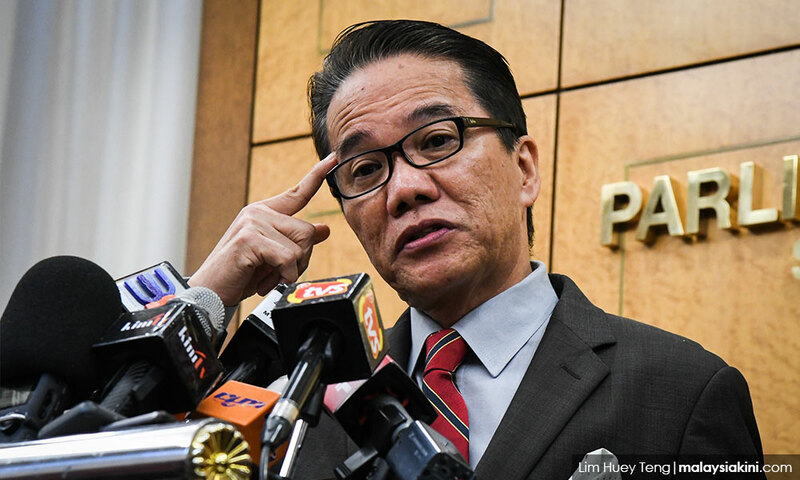 The burden is now on Liew to seriously dissect what went wrong, as he is the minister in charge and the one who tabled the bill for first reading on April 4. One also wonders whether Liew is competent for the job. Did he bother to call all the lawmakers from Sabah and Sarawak together and discuss the final draft of the bill, or at least obtain their feedback and final consent before presenting the bill in Parliament? Surely, he would’ve known that the support of the opposition MPs from Sabah and Sarawak were needed to get it through. But apparently, he didn’t. Meeting your own cabinet colleagues from Harapan is not good enough. Other stakeholders, like opposition MPs, must not be kept in the dark about what’s to come. This was the case on April 4. After the bill was first presented, following the subsequent uproar from opposition MPs, Liew issued a statement saying that the chief ministers of Sabah and Sarawak had already agreed to the amended bill. When told by the chief ministers themselves that they did not, Liew never bothered to undertake damage control or make a serious effort to woo their support. In the five days between April 4 and April 9, a lot of things could have been put right – if Liew did his job. But it is quite clear from his handling of this important bill that he is not up to it. At a crucial time like this, legislators must cast their political affiliations aside and come together for the greater good of the nation. Both sides had set aside their differences on issues in the past. Why didn’t they do so on this all-so-important legislation? This has been bugging me since Tuesday night. At times, I wonder whether ministers and the opposition MPs ever bother to have civil conversations at all. This communication breakdown appears to be serious, and our naughty boys and girls in Parliament must be told to behave and act like adults. As a layperson, I am not interested in the allegations and counter-allegations that both sides were playing ‘political games’ and out to gain credit for this and that. What I want is justice and fair play as Sabah and my homeland, Sarawak, move in unison with Malaya as genuine equal partners in the federation founded by our forefathers. I am also not bothered whether Harapan or GPS or even BN is the government of the day as long as the leaders are just, honest and accountable. To Harapan, let me say this. The arrogance displayed by some of your leaders in their statements and press conferences asking opposition MPs to support the bill was glaring. You appeal for my support, you tell me nicely, explain to me in detail why I should do so. Stay humble, be genuine and sincere. When you are arrogant and tell me “isn’t this what you wanted and if you are still unhappy, so be it” you will never win me over. And to GPS lawmakers, I think it is not right to keep on making demands after demands. 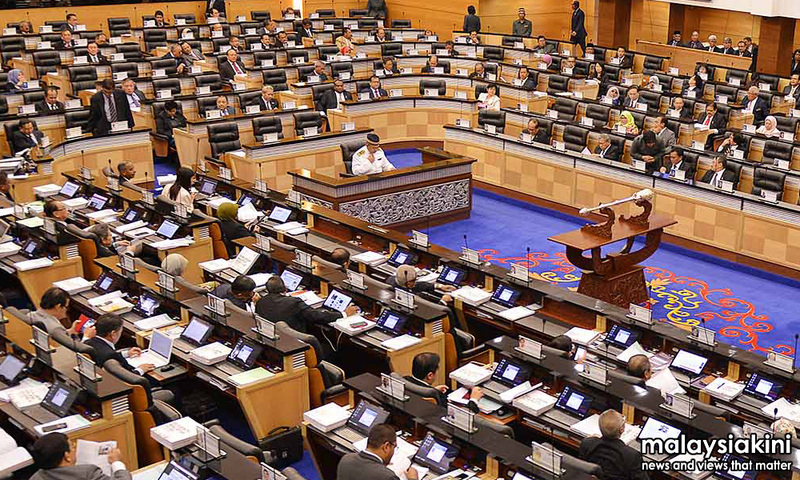 Harapan had relented and had amended the bill which was tabled for second reading. Still unsatisfied, you asked for more. That is not right, political ploy or not. Shame on all of you. And remember this, GPS, working with Umno and PAS is a no-no for the majority of Sarawakians. To the turncoats who first opposed the bill but later switched over, please make up your mind and be more decisive next time. Dilly-dallying on such an important issue does not speak well of your credibility as a legislator. For now, there is uncertainty as to when there will be another opportunity to present a similar amendment bill. However, for many ordinary folks, like my dear friend in Kuching who teared up at the non-passage of the bill, they must remain hopeful that the accident in Parliament on Tuesday will not be a cause of danger in the future. FRANCIS PAUL SIAH heads the Movement for Change, Sarawak (MoCS) and can be reached at sirsiah@gmail.com. The views expressed here are those of the author/contributor and do not necessarily represent the views of Malaysiakini. COMMENT | Why is the proposed MA63 amendment bill, to be tabled for second reading in Parliament on Tuesday, crucial? Because it affects the spirit and sanctity of our nationhood and the future of all Malaysians, from the Malay peninsula to the Borneo territories. And also because I don’t think we can expect another such amendment, possibly for decades to come. Hence, the proposed amendment to Article 1(2) of the Federal Constitution must have no room for error and should be rock-solid, with the full consensus of all parties and stakeholders and to the total satisfaction of all. Anything less will not do. Unfortunately, that seems to be the case. This is why Sabah and Sarawak MPs from the opposition were up in arms against the Pakatan Harapan bill when it was tabled for first reading on April 4. The Third amendment (2019) (proposed) read: The States of the Federation shall be – (a) Johore, Kedah, Kelantan, Malacca, Negeri Sembilan, Pahang, Penang, Perak, Perlis, Selangor and Terengganu; and (b) Sabah and Sarawak. I may not be an MP but I am a certainly not a fool to vote blindly for a two-line amendment and told to accept that as the original spirit of the formation of Malaysia. By merely taking out “Malaya” and “Borneo”, the proponents of the bill expect me to support it, saying that the term “State” could be interpreted as a territory or a region and denoted as an equal partner to Malaya. I cannot buy that. Surely, Harapan, you can do better than that! A two-line amendment bill! My mother’s grocery bill from the Apek Cina shop in Kuching 53 years ago was more comprehensive. As it stands, the constitutional amendment bill was merely suggesting a new clause that specifies all the constituent states of the federation. I agree with the opposition MPs that the bill, in its current form, is meaningless and thus, unacceptable. I am very disappointed with my friends in Sarawak Harapan for their failure to demand the restoration of Sarawak’s rights in its entirety. They have let Sarawakians down with their servility to their bosses in Putrajaya. Sadly, their politics today is no different from that practised by BN. Putrajaya’s decision is supreme. All that the “small boys” from Sabah and Sarawak have to do is nod. Like the extras hired on a movie set, they have no lines. 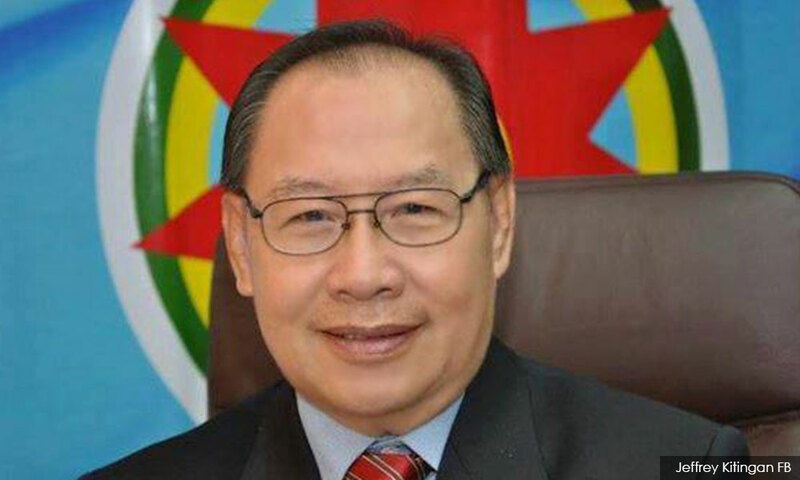 Former Bintulu MP Ting Ling Kiew from the now-defunct Sarawak National Party (SNAP) probably described that “little boy with no say” from Sarawak best. Ting, who was the Bintulu MP in 1976 when the amendment demoting Sarawak to just one of the 13 states was passed, told a press conference in Kuching last week that “I deliberately absent myself from Parliament to avoid voting for the amendment”. “If I did not vote for it, I would be sacked. The SNAP president then, Dunstan Endawie, advised me to go to Singapore to play mahjong”, he related the day he played truant to avoid voting against his conscience. Sarawak Harapan lawmakers can argue all they want today in support of the bill. Just don’t call a press conference 40 years later, like Ting did, to admit that you were just small boys in 2019 and had to toe the line of your party bosses. 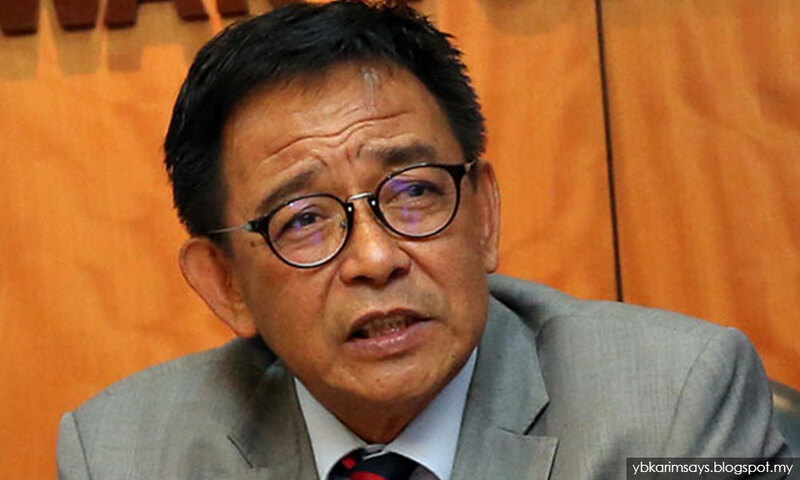 De facto law minister Liew Vui Keong, who tabled the bill, is a Sabahan and one I would also not hesitate to describe as another great disappointment. Sabahans would have expected one of their own in a position of authority to go all out to fight for their interests at this crucial time but that was not to be. 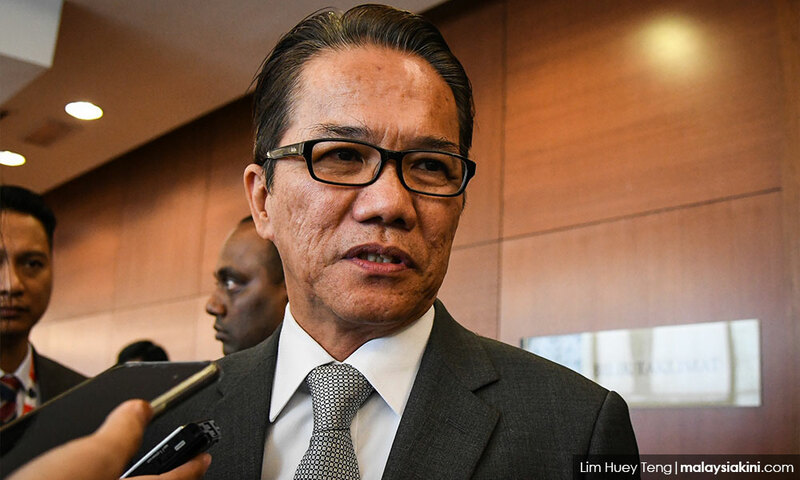 Perhaps Liew’s numerous political setbacks and his lucky comeback via Parti Warisan have taught him a lesson – to be obedient to the boss at all times. This was a man who could not even manage his own party and was removed as LDP president from within. Partyless, he sought refuge in Warisan just before GE14 and eventually found himself comfortably entrenched in the Prime Minister’s Department. Isn’t it sad for Sabahans and Sarawakians to learn that it is really some of their own who choose to let them down by working in cahoots with their bosses in Putrajaya, whom they know fully well would never ever let the Borneo territories have equal say as equal partners? Our own people must share the blame for taking Sabah and Sarawak for a ride again. This is something which opponents of the bill must prevent from happening at this crucial hour. What is also depressing but worth a good chuckle is that a young Sarawak Harapan legislator has the cheek to tell Sarawakians to back the proposed amendment first, and then negotiate with leverage “once we are back on equal status”. I think the six-year-olds in kindergarten will want the candy first before promising the teacher that they will not be naughty and behave for the rest of the day. Now, what do I want most of all in this proposed MA63 bill? As this is probably the final amendment to MA63 I will witness in my lifetime, I would go all the way. In my message on social media groups, I have stated that “the “Right to Secession” clause has to be included. Otherwise, any amendment, to me, is meaningless. We are tied to Malaya and we can’t get out if we want to. The general feeling among Sarawakians is that we prefer to go our own way. This fact must be recognised”. We must learn from history. Kuala Lumpur sacked Singapore in 1965. Lee Kuan Yew broke down but should have asked who gave Tunku Abdul Rahman and Kuala Lumpur the right to fire Singapore. 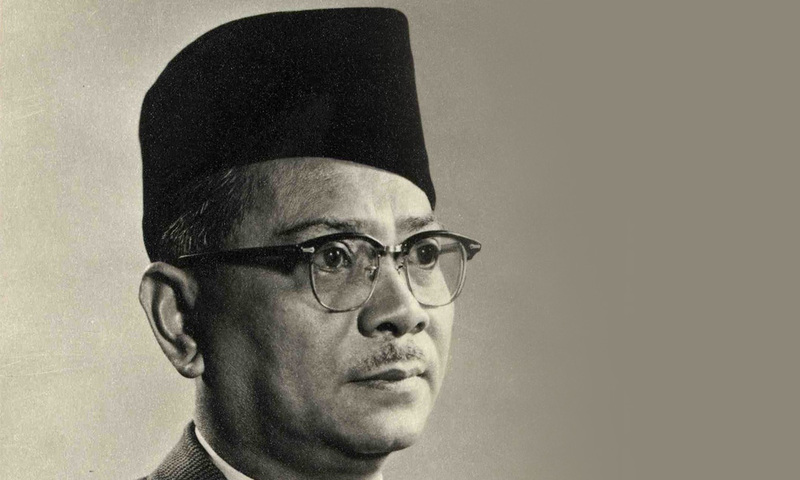 Was there a stipulation in MA63 which gave Malaya the alienable right to kick out Singapore? 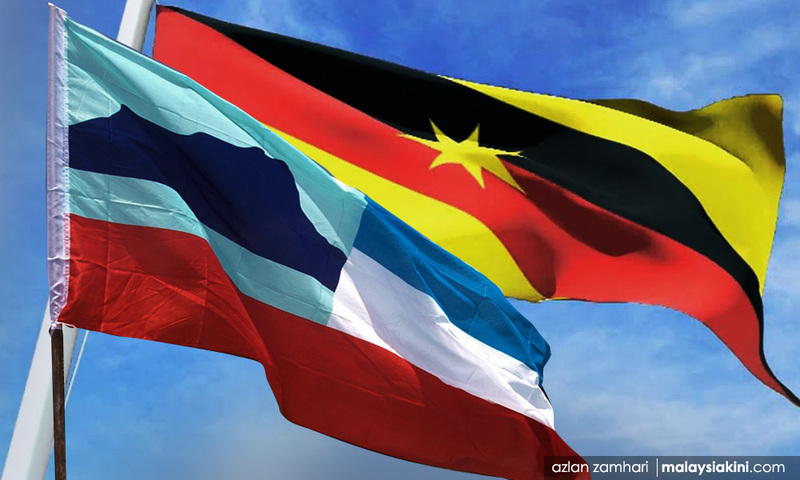 Did Sabah and Sarawak agree with Malaya on that course of action? Were we not all equal partners then? Today, we are being told again that we are returning to the days when we were equal partners. Sorry, I am no longer a believer and I’m sure many fellow Sarawakians share similar sentiment. Just don’t take Sabah, Sarawak for a ride again. We were fooled once. It will not happen twice. 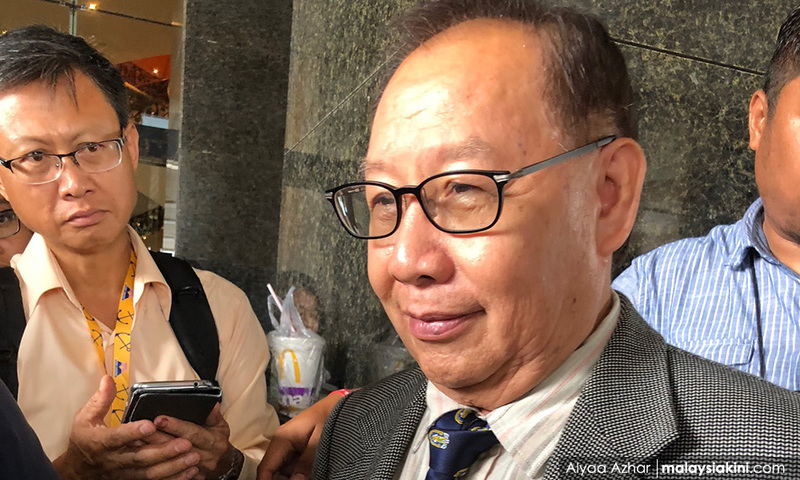 Why is Jeffrey Kitingan barred from entering Sarawak? COMMENT | Let me get straight to the point. I have a serious question for my chief minister, Abang Johari Openg. 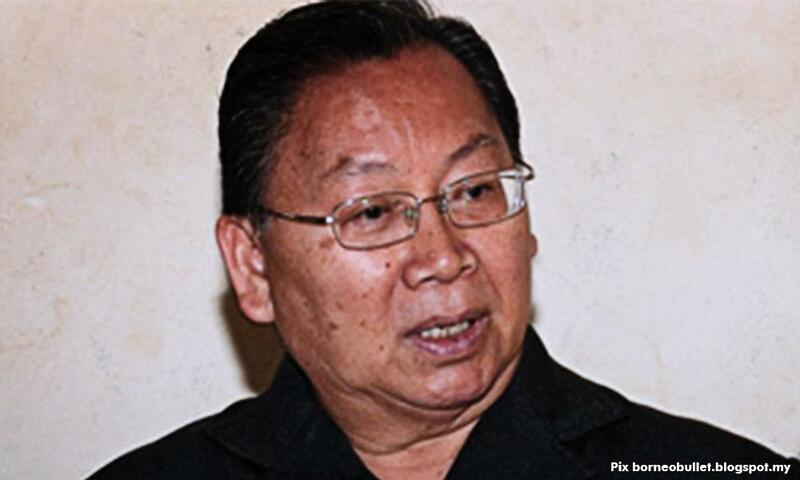 Why is Sabah opposition leader Dr Jeffrey Kitingan barred from entering Sarawak? Until last Monday, I was unaware that Jeffrey was also on the Sarawak immigration’s ‘blacklist’. A Sibu lawyer brought it to my attention and I was actually quite taken aback with this fresh information. I had met Jeffrey several times over the past years in Kuching. He had been going in and out of Sarawak, so the news of his travel ban came as a total surprise to me. I took note of the date. Abang Jo assumed office as Sarawak chief minister in January 2017. So it was Abang Jo who actually made the decision to bar Jeffrey. I would like to know why. His predecessor, Adenan Satem, never took that action against Jeffrey. Neither did Abdul Taib Mahmud. If these two former chief ministers did not consider Jeffrey as a “threat” or an “unwanted influence” over the past four decades, why did Abang Jo suddenly think so? That is my poser. I do not expect a response from Abang Jo or from his office, not after I’ve publicly described him as a weakling. But I wish to be proven wrong. If I do not hear from the CM’s Office, then I have to conclude that my chief minister’s reason for denying entry to Jeffrey must be personal. I could be wrong, of course, but that would be my assumption if there is no official word. Those in power must realise that if they do not bother to respond to legitimate questions from the public, assumptions will turn into rumours and this will benefit no one at the end of the day. Only recently, I have urged my chief minister to place controversial preacher Zakir Naik on the persona non grata list. I believe all of Sarawak rejoice with me when it was confirmed that Zakir is indeed on the immigration’s blacklist. Again, let me thank Sarawak Local Government and Housing Minister Dr Sim Kui Hian for taking the trouble to relay that “good news” to me and fellow Sarawakians. In the past, I have also spoken up for personalities like Ambiga Sreenevasan, Maria Chin Abdullah and Clare Rewcastle-Brown when they were denied entry into my homeland. As a Sarawakian, I also bow my head in shame when others criticised Sarawak leaders for their purported abuse of our immigration autonomy. I concede that is true – that power has been abused time and again. Let me relate a clear case of that abuse of immigration power. In 1978, then DAP secretary-general Lim Kit Siang was detained at Kuching Airport and had to be put on a wheelchair and carried up the aircraft to be flown back to Kuala Lumpur. The Sarawak chief minister then was Abdul Rahman Yakub. In 1979, Rahman was having problems with SUPP secretary-general Stephen Yong, and the chief minister decided to use DAP to teach SUPP a lesson. Rahman encouraged DAP to set foot in Sarawak and Lim was soon welcomed with open arms. This is a case of “the enemy of my enemy is my friend” in politics. Isn’t this a clear-cut abuse of Sarawak’s immigration autonomy by the chief minister? As a Sarawakian, I strongly abhor such a callous act of political expediency. It is morally wrong for the chief minister to abuse his immigration authority at his whims and fancies. Why do I rise to the defence of Jeffrey today? Because I just cannot comprehend how the Sabah politician could be of any threat to Sarawak or its peoples. Or is there something fishy about Jeffrey that I do not know but Abang Jo is aware of? Then, tell us why Jeffrey is considered a bad influence for Sarawakians. Jeffrey has been in the forefront in the fight for the restoration of Sabah’s rights under the Malaysia Agreement 1963 (MA63) and Abang Jo, as he had declared, is on the same mission for Sarawak. In fact, it is heartwarming to see Jeffrey sharing the same platform with GPS legislators in Parliament yesterday in opposing Pakatan Harapan’s proposed MA63 Amendment Bill. Sabah and Sarawak leaders must work closely together on this long-standing issue. The two Borneo territories share the same fate and the leaders should accept the reality that “we go in together and we have to get out together, if need be”. Today, Jeffrey is not irrelevant in Sabah politics but an emerging power player. 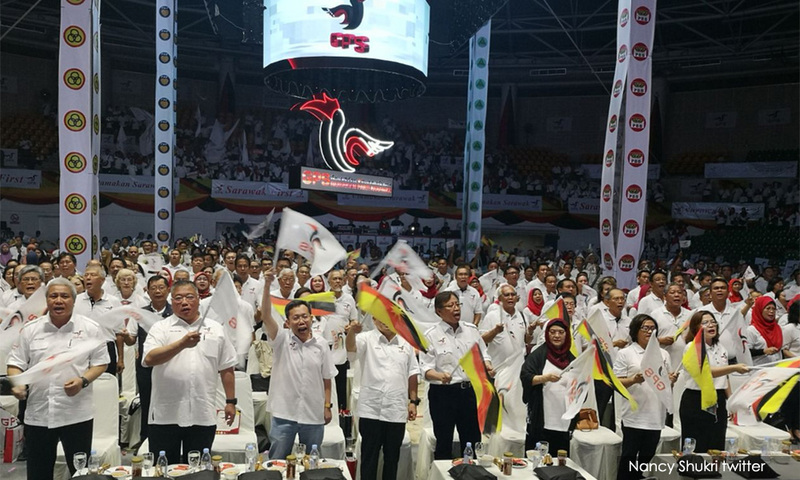 He has the support of his fellow Sabahans as evidenced from his GE14 victory in the parliamentary seat of Keningau and the state seat of Tambunan. I hope 2019 will open a new chapter for my chief minister’s relationship with Jeffrey as both leaders share the same vision – a “Better Sarawak” and a “Better Sabah”. Let there be mutual respect and trust. 2017 is past, let whatever ugliness there was then be buried forever. I sincerely hope that Abang Jo will lift the ban on Jeffrey as soon as possible. In this case, feuds should not be allowed to stalemate trust, as Sabah and Sarawak have always been brotherly neighbours and their leaders should act likewise. And Jeffrey, I do hope to enjoy high tea with you again at your favourite Telang Usan Hotel in Kuching soon. 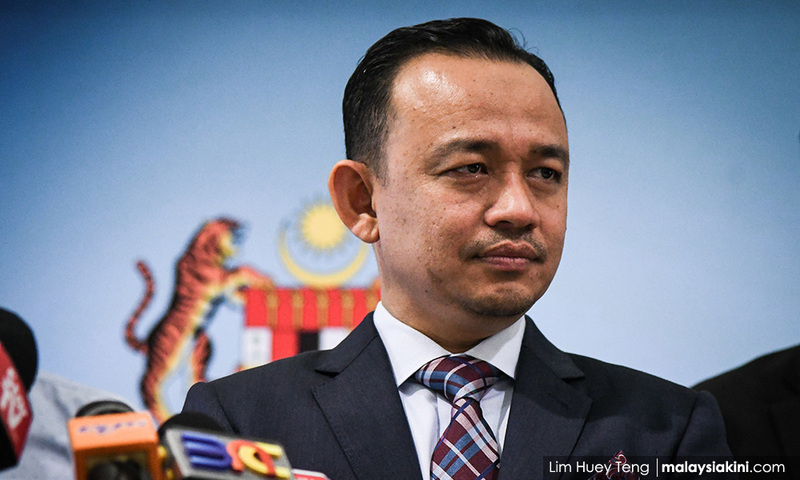 Time to remove Maszlee from education? 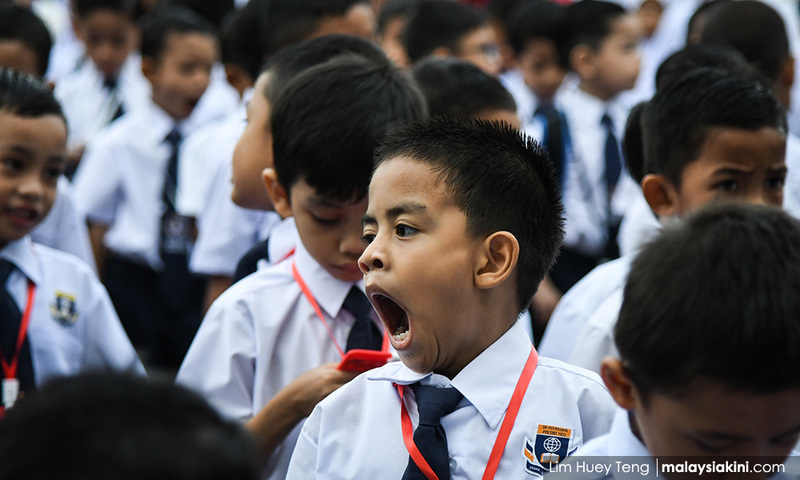 QUESTION TIME | Instead of worrying about the colour of students’ shoes and a cashless system in schools, Education Minister Maszlee Malik needs to focus on improving education, the most vital ingredient to upgrade skills, increase incomes, raise living standards and dispel ignorance. Maszlee’s task has been made much easier because there is already a comprehensive education blueprint which can be followed, and there is a mechanism for monitoring it. The new government, soon after it came into power, undertook to follow the blueprint. This is quite intuitive, but as the executive summary pointed out, changing what happens in the hearts and minds of children is no simple task. Some do it successfully, while others do not – and money alone is not the sole determinant of what works. 1. The quality of an education system cannot exceed the quality of its teachers. 3. High performance requires every child to succeed. Clearly, the Malaysian education system is not anywhere near best practices and much needs to be done about education. 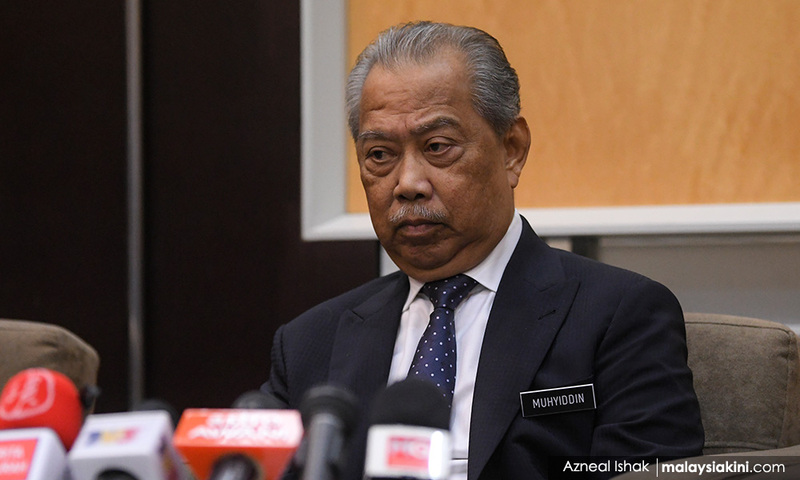 McKinsey went on to help Malaysia produce a 292-page, 12-year education blueprint 2013-2025 focusing on preschool to post-secondary education, which was unveiled in 2013, over five years ago when the current home minister Muhyiddin Yassin was the education minister. There was another one for higher education, but our emphasis here is on the more basic one where considerably more effort is required. This comprehensive plan has laid out in detail what needs to be done to improve basic education in Malaysia. It identified six skills for students to excel globally – knowledge, thinking skills, leadership skills, bilingual proficiency, ethics and spirituality, and national identity. It also details eleven shifts to transform the system, including equal access to quality education, proficiency in Malay and English, making teaching a profession of choice, and using ICT for efficiency, and transparency. A perusal of the blueprint is instructive for the understanding of the Malaysian education system and what can be done to improve it. The report set targets and timelines for achievements and recommended a yearly assessment against the targets set. What Maszlee has to do is to return to this education blueprint, instead of being sidetracked by irrelevant issues which have no bearing on the improvement of the education system whatsoever – there is no evidence to show that students performance iimproves if they wear black shoes or if there were a cashless system in schools. He should be telling us what is happening in terms of achieving the objectives of the blueprint, and where we are now. Let’s take one example – bilingual proficiency. One way of increasing English proficiency is to increase usage of the language, for instance by teaching Science and Maths in English. 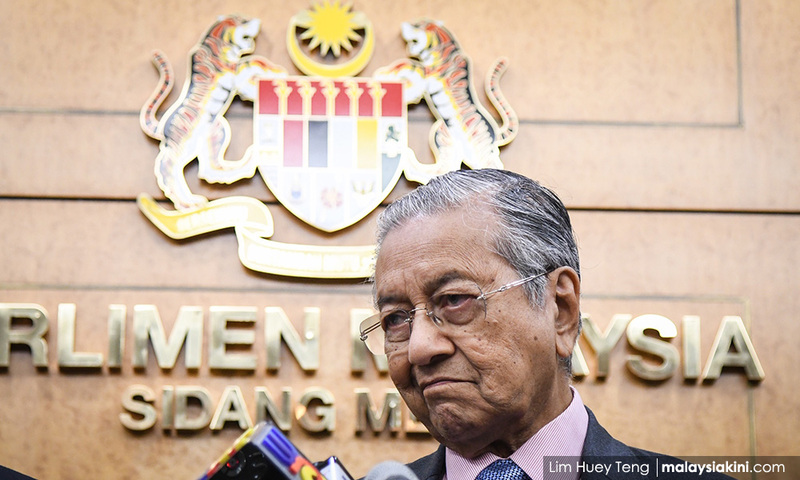 Dr Mahathir Mohamad, during his previous term as prime minister, changed the system, for which he was largely responsible as an education minister in the seventies, to provide for the teaching of Science and Maths in English. This went on for several years until, ironically, his current home minister and then education minister Muhyiddin Yassin (above) under Najib Razak, overturned Mahathir’s move to allow teaching the subjects only in Malay and vernacular languages, turning back the clock. With Mahathir as PM again, Maszlee should have no problem reverting to teaching Science and Maths in English, but he has not done so. What better way to improve English than to have some subjects taught in that language? As it is, students from national schools are severely handicapped in job applications by poor English, especially since many of them enrol in local universities where teaching continues in Malay and the language gap widens. Tell us, Maszlee, in concrete terms what you are doing about achieving this, where you are falling short, and what you will do to overcome them. Where exactly are we at now, and what will we achieve in the remaining six years to 2025? And tell us what have we achieved in the first half or six years of the education blueprint. Do we have enough qualified teachers to enable educational transformation now? If not, what are we doing and what are our targets? How far away are we from achieving them? One can ask similar questions about many other areas in education. Maszlee has shown so far no indication that he is the person to run the most important ministry there is in terms of the future of all Malaysians. If he fails, it will set the country back tremendously by many years and stymie the much-needed change in the education system. If he still shows no improvement and continues to focus on mosquito issues, instead of tackling the huge problems facing education, Mahathir must have no hesitation in removing him and putting in place someone else who can, even if that person is not from Bersatu, which has a paucity of good people. P GUNASEGARAM taught science and maths in the late Seventies in a government school and saw the deterioration in teacher standards then via the mass hiring of poorly qualified people. He says education is too important to be put in the hands of incompetent people, whether teachers or ministers or anyone else in between.The views expressed here are those of the author/contributor and do not necessarily represent the views of Malaysiakini. “Dr Jeffrey Kitingan is the only MP asking a straight forward question in Parliament on MA63 (Malaysia Agreement 1963). Other MPs from Sarawak and Sabah, whether from Pakatan Harapan or GPS, never had the courage to do it the way Jeffrey did. “Call Jeffery a frog, a traitor, an opportunist or whatever you like. As far as the interests of Sabah and Sabahans are concerned, re-MA63, Jeffrey has been consistent all these years. I can’t say that for other politicians from Sabah or Sarawak. “That is a fact which we must recognise. “I am not giving credit to Jeffrey because I consider him a personal friend. I salute him again today for he has again proven that MA63 is an agenda which he never loses sight of. 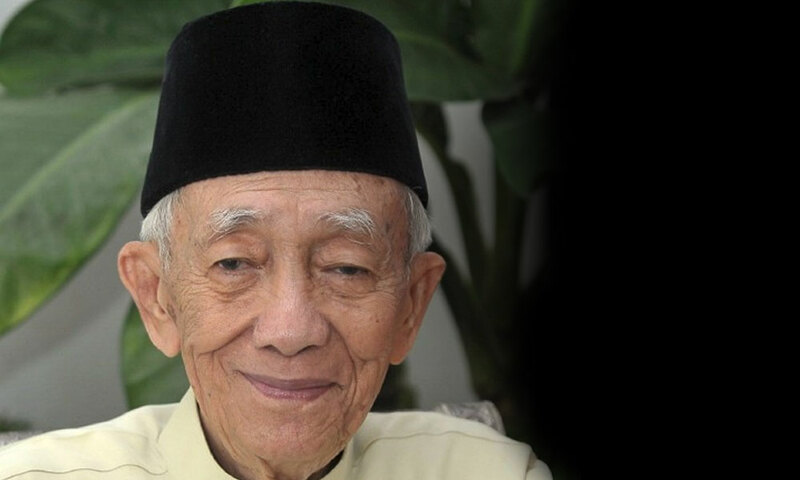 To him, the rights of Sabah must be returned at all costs. “If Jeffrey is considered anti-Malaya or anti-Malaysia, so be it. He had gone to jail for this long struggle of his before, and I believe he is prepared for worse consequences. “I also believe that many Sabahans and Sarawakians, and perhaps even his detractors, are solidly behind Jeffrey on this matter. Me certainly,” I concluded. The news article was on a reply in Parliament from Minister in the Prime Minister’s Department Liew Vui Keong to an oral question from Jeffrey, who had asked on the status of the special cabinet steering committee to review MA63, and the government’s take on the view that the agreement is cancelled on the grounds that it was never fully implemented in 55 years. 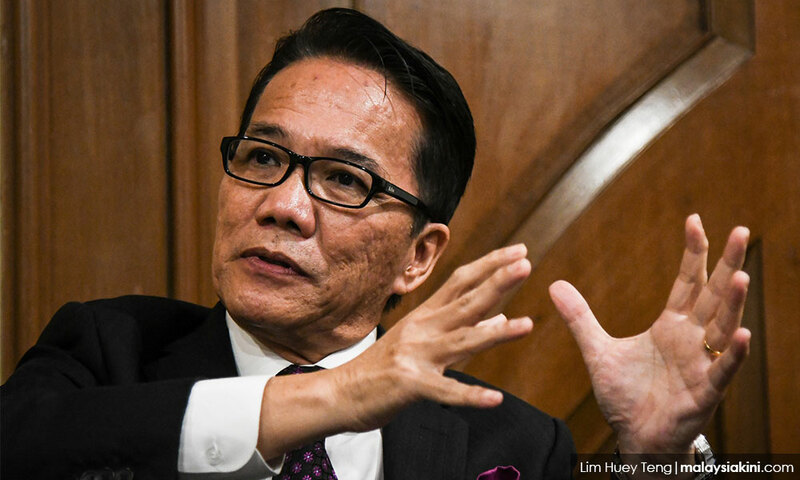 The response from Liew (photo) was a damper to Sabahans and Sarawakians when he said that Putrajaya will not entertain any suggestions on the dissolution of MA63 and that Sabah and Sarawak be granted self-determination. I believe many are glad that Jeffrey is finally in Parliament. The president of Parti Solidariti Tanah Airku (Star) defeated his elder brother, Joseph Pairin Kitingan (photo, below), in Keningau, as well as in the Tambunan state seat in the last general election (GE14). One thing is clear. 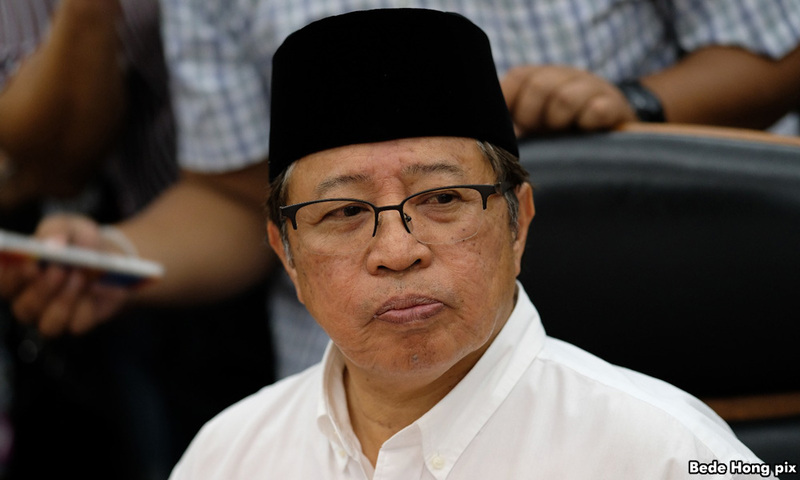 Pairin had never brought up the MA63 issue in his many years as the Barisan Nasional MP. 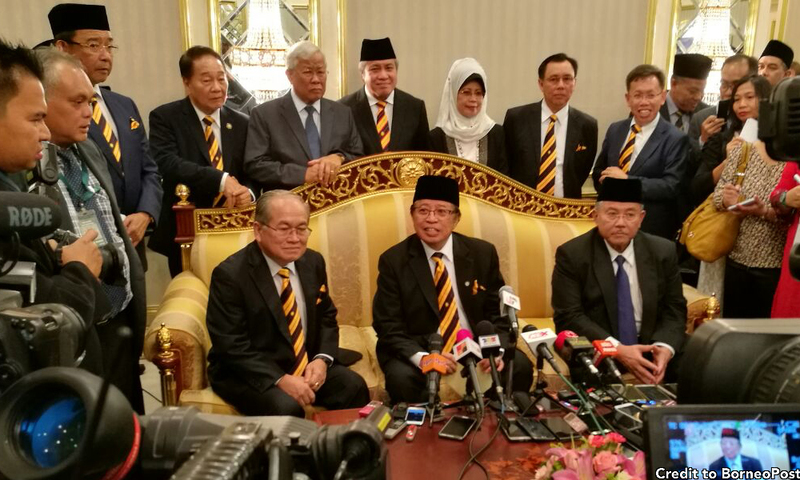 Apparently, the elder Kitingan is more comfortable serving at state level than crossing swords with Putrajaya. Jeffrey has finally emerged from the shadows of his illustrious brother, who is a former Sabah chief minister and still the revered Huguan Siou (paramount leader) of the Kadazandusun communities in Sabah. I am not surprised that many have responded positively to my note, saying they could agree with my contention that Jeffrey has been very consistent in his struggle for Sabah’s rights under the Malaysia Agreement. It is quite clear from public feedback that, at long last, Jeffrey has been accorded the recognition that is rightfully his. My note, also posted on Facebook, garnered many favourable comments for the 70-year-old Jeffrey. 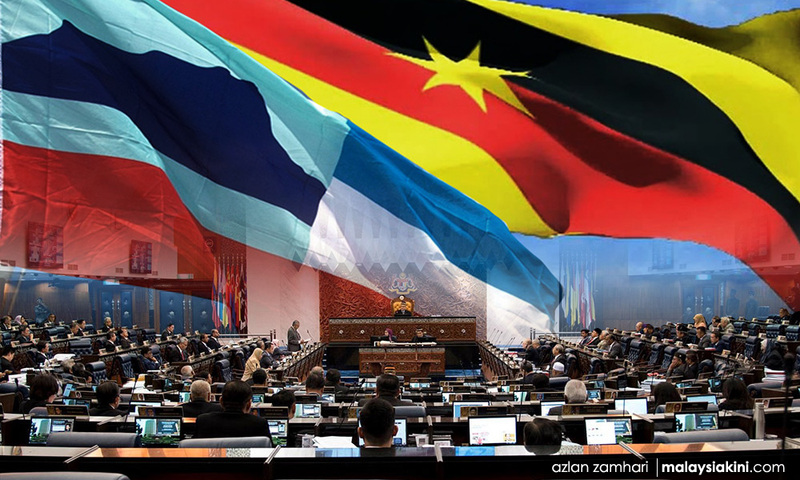 Late last night, I was alerted to a Free Malaysia Today article, “Kitingan: Change national flag, set up three heads of states” by a Kuching friend. He added with a postscript, asking me to tell my Sarawak Harapan friends in Parliament not to be so servile to Putrajaya on MA63. I share my friend’s sentiments. None of the Harapan MPs from Sabah or Sarawak have the gumption today to even suggest leaving the federation if the MA63 terms are not fully complied with. They have to be as forceful as Jeffrey in order to send a clear message to Putrajaya. What is disappointing is that they seem to be contented that Sarawak and Sabah will no longer be known as ‘states’. I expect much of the same thing even with the amendment bill to Article 1(2) of the Federal Constitution to restore Sabah and Sarawak’s status as equal partners with Malaya. As far as I am concerned, Sarawak and Sabah were already equal partners in 1963. The 1976 amendment should have been declared null and void a long time ago by Parliament. To me, the proposed bill to be tabled on April 8 is a “whitewash”, an attempt to appease those foolish enough to believe that Harapan is serious about returning to Sabah and Sarawak their legitimate rights. The representation of MPs, both elected representatives and senators – as well as the cabinet – should be revised to reflect the equal partnership. Did any of the Harapan leaders in Sabah or Sarawak make any major proposal to evoke significant changes to the amended bill? Not that I know of. It is as if they are unaware or pretend not to know of one important fact which Jeffrey and all of Sabah and Sarawak are aware of. Putrajaya will never let Sabah and Sarawak go. Let me state it plainly here. Sabah and Sarawak do not need Malaysia, but Malaya needs Sabah and Sarawak in order to ensure that Malaysia continues to exist. And there is only one MP today who has the courage and fortitude to tell Putrajaya that straight in the face. His name is Jeffrey Kitingan. 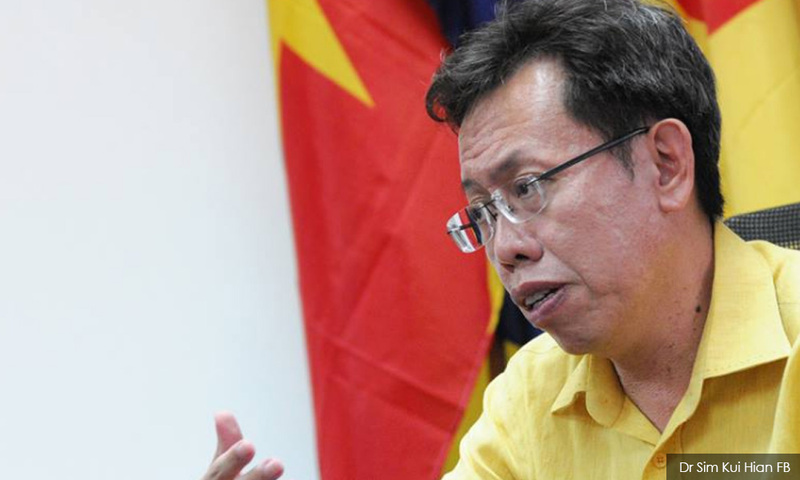 COMMENT | Sarawak Minister for Local Government and Housing Dr Sim Kui Hian is among friends and associates whom I regularly share my thoughts and views on current issues with. I forwarded that piece to Sim at 3.35pm and was very surprised to receive his response at 4.44pm – just one hour and nine minutes later. His message included a screenshot of his WhatsApp conversation with the Sarawak immigration director in which he inquired whether the controversial preacher is on the persona non grata list in Sarawak. 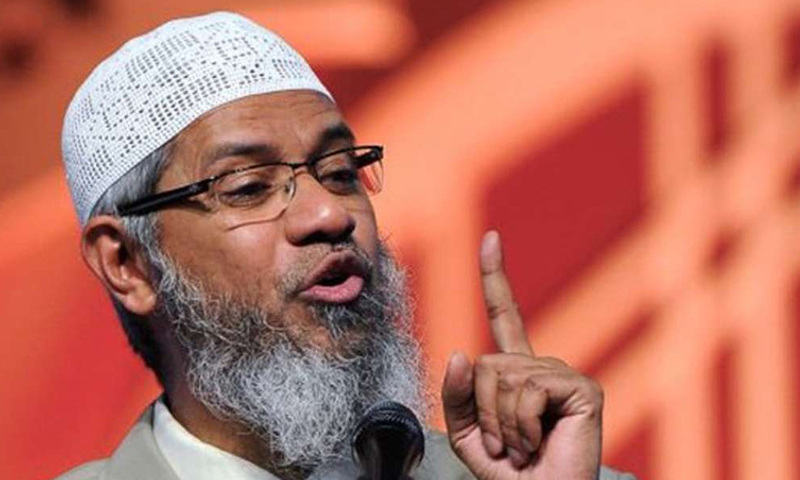 The immigration chief’s reply to the minister was that “Zakir is on the blacklist”. So my poser has been answered. What is more heartfelt here is that I did not specifically request Sim to check on Zakir’s status. I just shared the article with those on my contact list and they include some Sarawak cabinet members and lawmakers from both sides of the political divide. I am glad that Sim took the trouble to check on Zakir’s status and informed me about it. 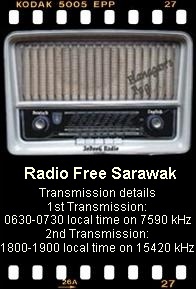 Many Sarawakians can now breathe easier, perhaps, since it is now confirmed that Zakir is barred from entering Sarawak. 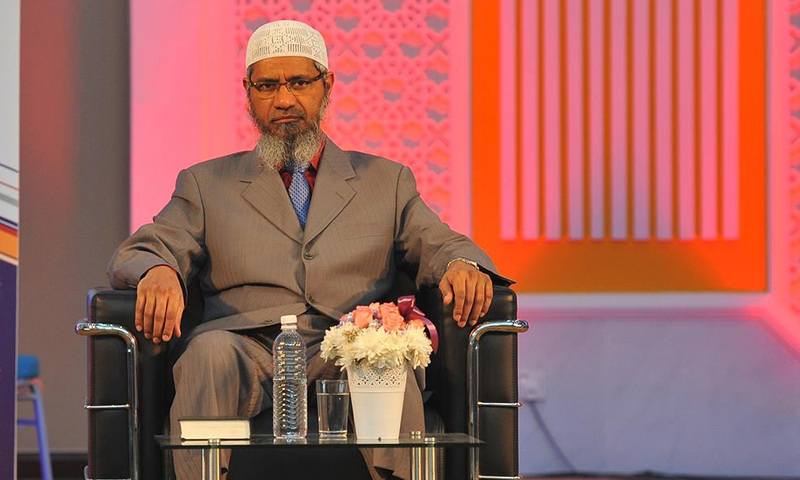 The latest allegation against the Muslim preacher (photo) – that he had accumulated assets worth RM113 million by diverting funds and donations received from Islamic countries meant for the welfare of Muslims – as reported by the Times of India, should give us more reasons to ensure that Zakir should never be allowed to set foot on Sarawak soil. This was not the first time that Sim has responded to my queries, which I’ve shared with those on my mailing list. This month alone, he had done so on three occasions. On March 4, I sent a note to GPS and Harapan lawmakers in Sarawak, appealing to them to work together to tackle the rabies epidemic and the dog culling exercise. A Kuching friend had earlier contacted me, alleging that the culling of dogs was carried out indiscriminately. She also claimed that the operation, which was to contain the spread of rabies, was a hush-hush affair. According to her, the local Harapan MP was also unable to obtain much information from the authorities. In my note to the Sarawak legislators, I appealed to them to set politics aside as this was an operation which needed the cooperation from all quarters. I also asked the GPS government to be transparent on the allocation (initially it was RM9 million and later revised to RM31 million) for the dog culling exercise. Sim received my message at 3.46pm and responded by 4.08pm – 22 minutes later. I’m not sure whether I have ever received such a swift response from any minister before this. He informed that he had forwarded my note to Deputy Chief Minister Douglas Uggah who chairs the Sarawak Disaster Management Committee. Sim was also kind enough to send me other relevant information and the contact numbers of persons of interest in the anti-rabies operation. On March 27, I received a complaint from a former MP of a young foreign man who started a chicken farm on kampung land belonging to his local wife, a spinster who is much older than him. 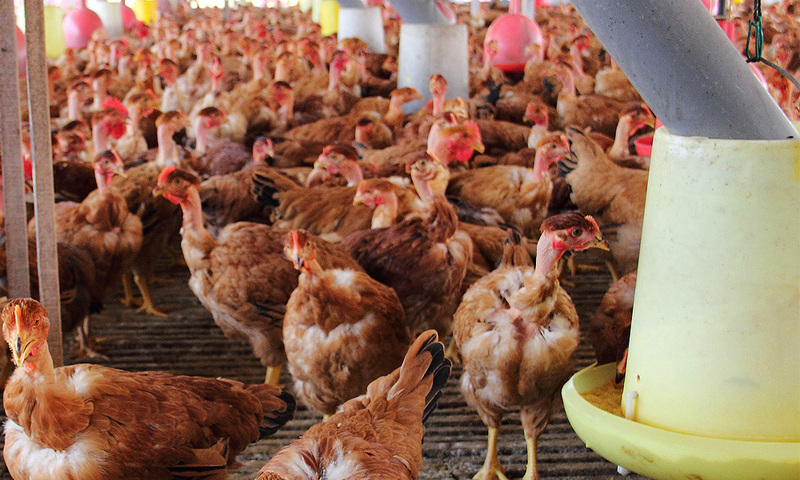 The farm breeds 6,000 chickens every four months for the local market in the district. Two issues were brought up. The kampung folk were irked by the unhygienic condition at the farm and the question mark on the status of the immigrant. The former MP claimed that a check at the Immigration Department drew a blank. In his reply, Sim informed me that he had contacted the local state assemblyperson and that he has been assured that the relevant authorities would act on the problem. He has also contacted the Sarawak police commissioner, who said his office will recheck the young man’s background although he has a valid document. Well, a big thank you to Dr Sim for entertaining the many issues/complaints he received from me. He has set a fine example for other ministers and politicians. People like myself who are not in government can only do this much by providing feedback to those in authority on issues affecting the public. If those in power do not act on the legitimate grouses of the people, then it is up to you and me, the voters, to reject them via the ballot box. Except to let the minister know that I’m grateful for his help, I will sing no song of praise for him. The PWD minister’s brother’s Pan-Borneo Highway connection EXPOSE! HEIST OF THE CENTURY – How Jho Low used PetroSaudi as “A Front” to siphon billions out of 1MDB!